Just back from a lovely day out at Borders Book Festival, where I had great fun doing a What Makes Your Body Work event to a very enthusiastic audience. If only the weather had been a bit warmer, but we seem to have reverted to winter again, after a few days of summer. 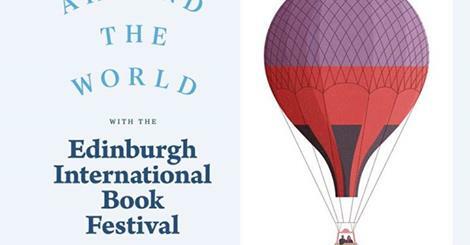 I had a very exciting morning on Wednesday, at the launch of the Edinburgh International Book Festival. I’m particularly excited about this year’s festival, as I have the huge privilege of being one of the guest selectors. It’s been wonderful fun helping to put together some of the events, which span the schools’, children’s and main programme. The thread I’ve been involved in is about Communicating Science. If you know me, you’ll already know that I have a bit of a bee in my bonnet about the importance of scientific literacy for everyone – not just scientists – so this is a fantastic chance to promote that. Have a look at the festival programme here, or see my Events page, where I’ll shortly be listing ‘my’ events. Roll on festival – but not too fast; I’ve got loads of books to read first! Posted in uncategorised | Tags: a case of knives, borders book festival, communicating science, edinburgh international book festival, scientific literacy, what makes your body work?